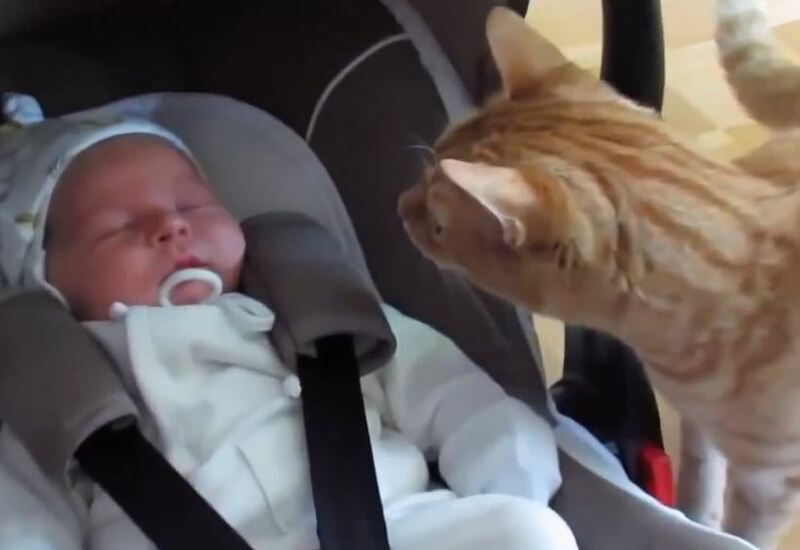 Cats meet little babies for the first time in this cute compilation of video clips. 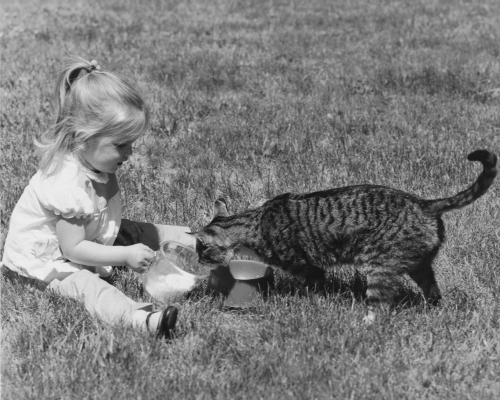 Before the little human entered the picture Spot was the only baby in the house. He is not too thrilled with the new addition! 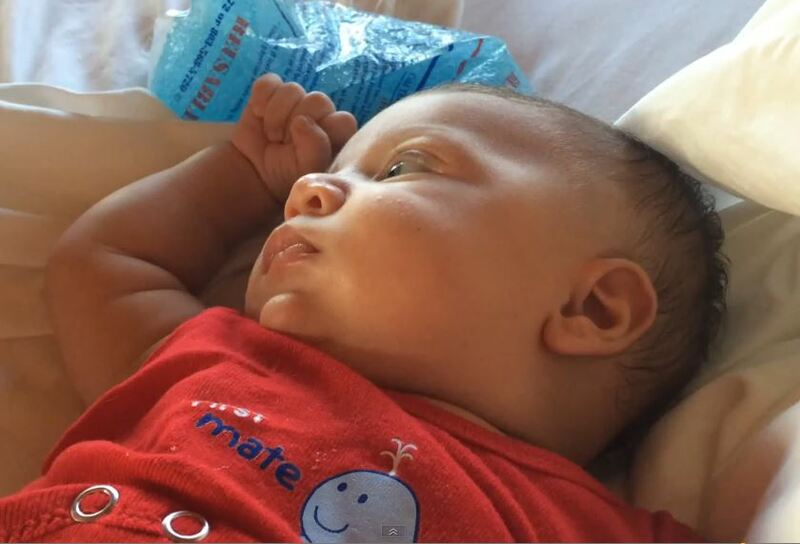 6 month old baby Jordan laughs while playing with Chocolate the cat’s paws. 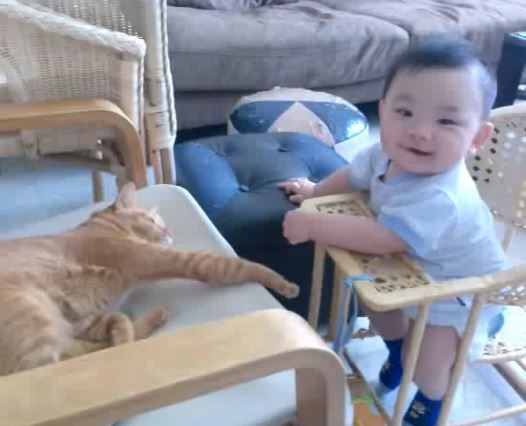 Cat to Baby: You Shall Not Pass! 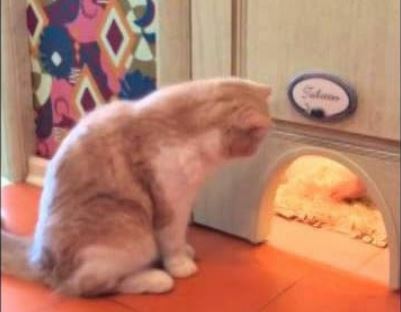 Kitty seems not to want baby to come through the cat door in this cute video. 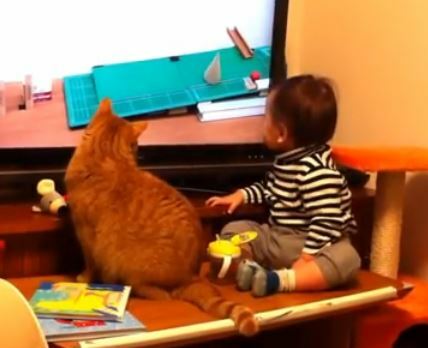 The only thing cuter than this cat and baby watching a Rube Goldberg contraption on a big screen is their reaction afterward. 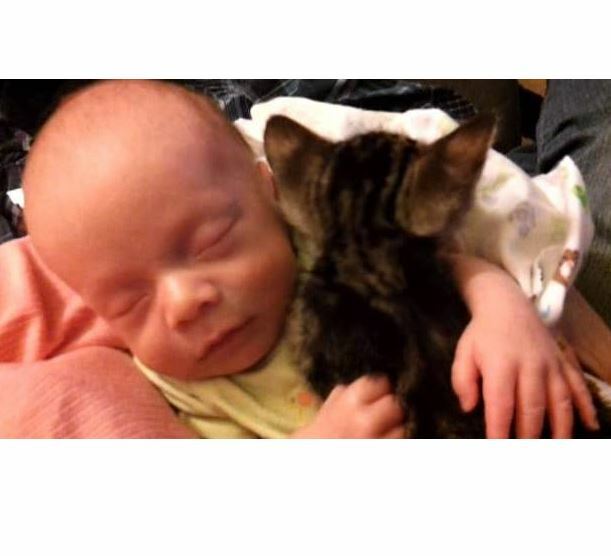 Awww, the baby has a kitten … or … does a kitten have a baby? 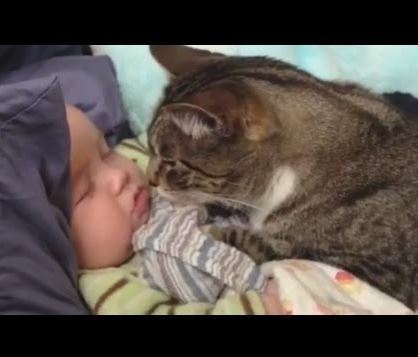 Cats show their love and affection to babies in this compilation of video clips. 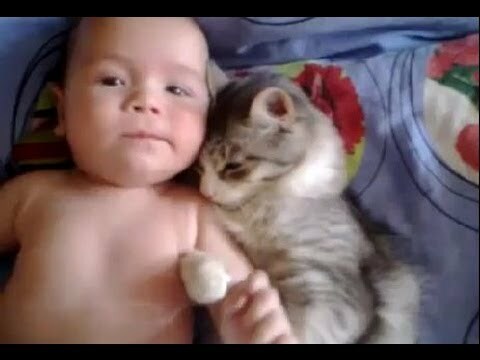 An adorably sweet kitty cuddles with baby.